As a professional in the medical industry it’s critical to portray a consistent and current image to people looking for information about your practice. 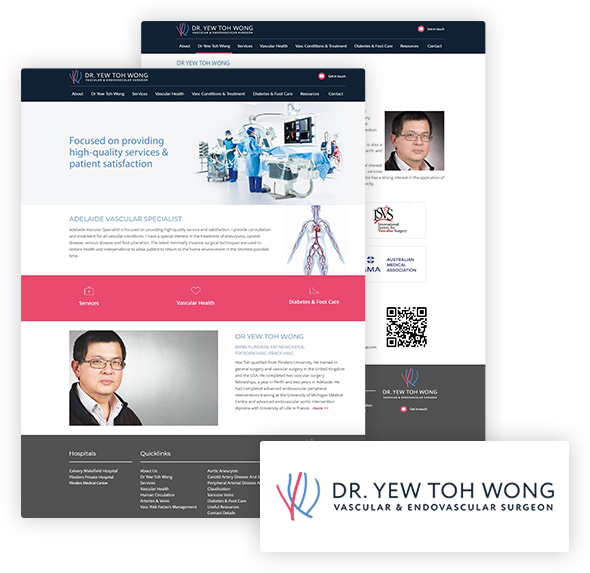 Turn to Total Web Designs for professional integration of your medical web design and medical graphic design along with your other online or offline marketing programs. Marketing studies show that nearly a third of all people searching for a new physician or medical practice use the Internet. They are searching for information about local medical practices and hospitals. If you don’t have a medical practice website, then these prospective patients are not finding your practice. When we build medical websites for doctors, we understand how powerful the Internet is for bringing together businesses with new clients or doctors with new patients. Your online presence, along with its well planned medical web design, can be the first impression you make with a new patient. Fully integrated Content Management System (CMS) – allowing you to update and amend your site whenever you want. New Patient Questionnaire – Put you initial questionnaire online and have your new patients submit their information before they arrive. 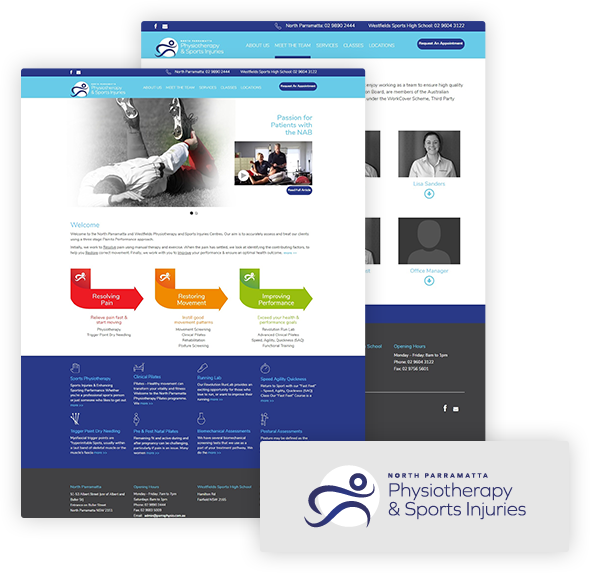 Download Information (PDF’s) – allow your clients to download information online, eg post treatment instructions, saving you from continually supplying these. GP Referral Form – Make it easy and instant for GP’s to recommend you specialised service. Search Engine Optimisation – Make sure you competing highly on Google for your suburb and surrounding areas. 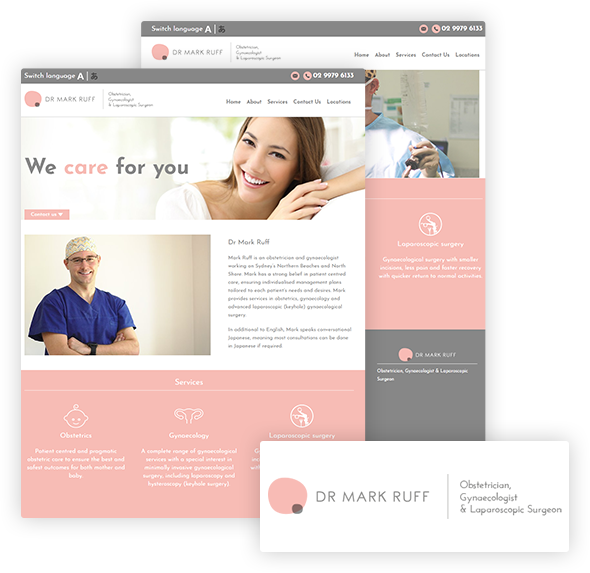 Ultimately, you want your medical practice web design to make an immediate impact and be remembered. 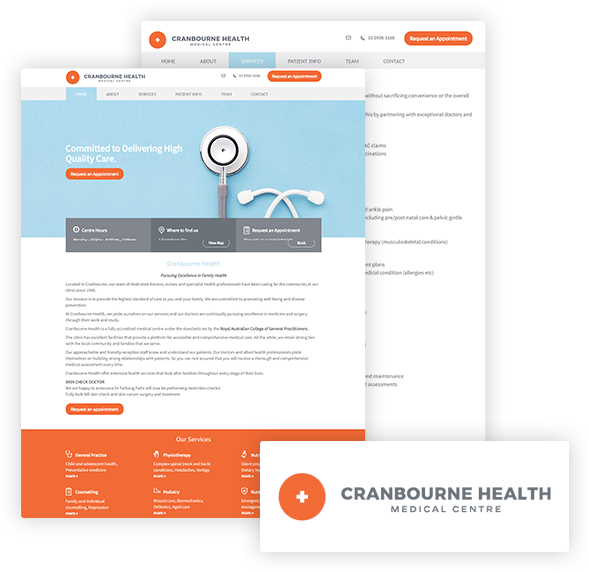 Someone looking at a drab and outdated medical web design may leave with a poor impression of your practice. After all, someone “interviewing” you on the web is easily distracted by another website with a medical web design that has sharper graphics or photos illustrating a procedure. A medical web design that incorporates tasteful drawings or photos can go a long way in reducing patient fear about what goes on during a worrisome procedure, like screening for cancer. Articles and photos can capture the trust of a first-time mother looking for information about pre-natal care. Total Web Designs understands that your priorities are curing disease and saving lives. Let us help take care of your online image. 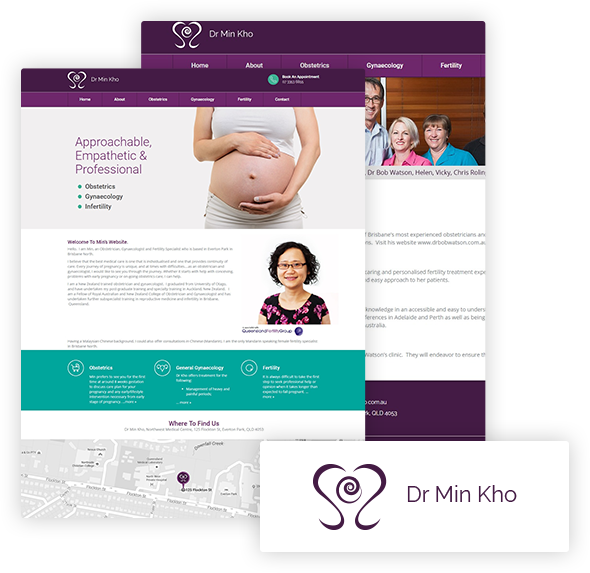 We provide you with a medical website designer who creates a medical web design that projects the right image to your target market using artwork and content appropriate for the topic. Your medical web designer fully understands how to build a website for doctors and other medical professionals. Your completed medical web design is loaded with the features that benefit your practice and provide a robust return on your investment. Your medical web designer is skilled at locating weaknesses in your medical web design. Things like broken internal or external links, too many links that detract from your website and poor keyword selection that weaken your site rankings. We’ll create a sharp and professional medical web design and a website that is quickly found and indexed by the major search engines. 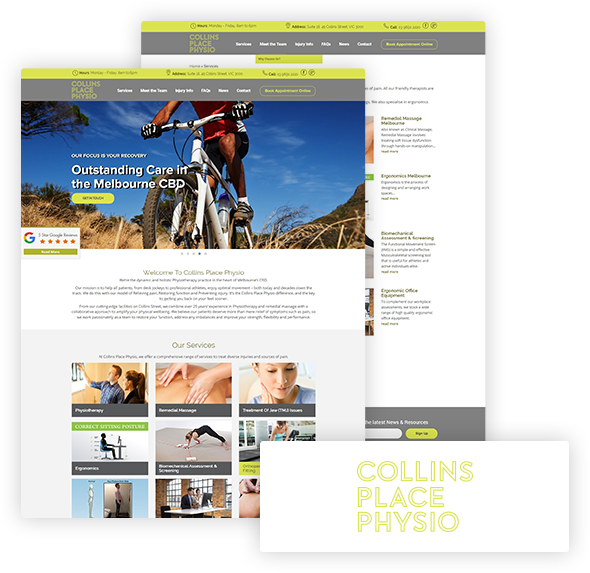 In fact, you may see your new medical website pages get top ranking within a few days after they are published. We offer the highest quality medical web design at an affordable price. 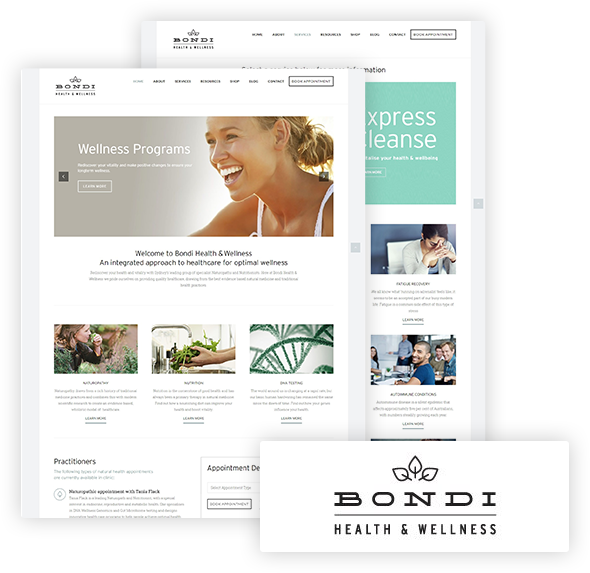 Soon you’ll find that your medical website is drawing in new patients from your local region be it Sydney, Perth, New South Wales or any neighbourhood in Australia. Just hook us up and we’ll be on the case today!